Conventional ways of selling need to be thrown out, because conventional selling is not working. You and your salespeople better be the very best. Business is harder. Success is harder. Survival is harder. The only way you can grow and survive in this economy is to consistently take away business from your competition. Your salespeople and process need to be unstoppable—they need to be armed with new abilities and SalesGen skills. SalesGen is the art of neuropsychology—eliciting buying strategies, sales acceleration and predictive growth. What I am going to teach you will open up your mind to possibilities of exponential growth for your business; you can become a leader in your market. Sit back and ask yourself, "What's the holy grail of business?" You may say sales, revenue or dominating your market. 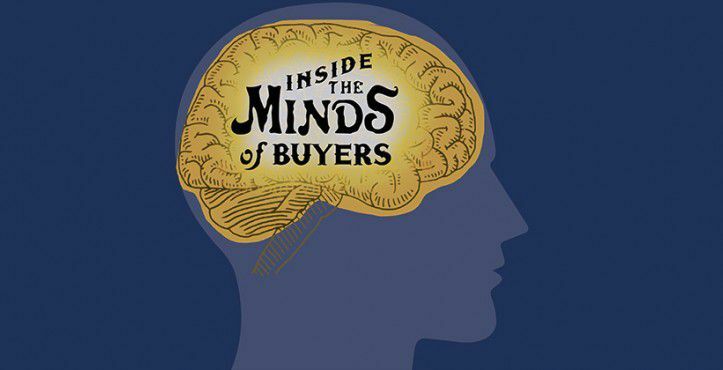 To me, the holy grail for a salesperson is finding the buy button inside your target customer's brain. This is the button you need to press to turn a prospect into a customer. So, how are you going to do that? How important is this to your future? The more you think about it, the more you realize you have to learn more about SalesGen. We all do. Now, I want to introduce you to neuroscience. Peter Drucker said it best: "The business enterprise has two—and only two—basic functions: marketing and innovation." That's all we do in business—we innovate and market solutions. Which one is more important? Obviously, both are extremely important but if you had to choose, which one would it be? This is a fascinating topic for us to explore. For those of us who are a little older, you might remember the Pepsi Challenge. If you're younger (or maybe partied a little too much in college), here is a little marketing history to help illustrate my point. In 1975, Pepsi came up with a great idea that started the Cola Wars. Pepsi conducted independent research that proved when people did a blind side-by-side taste test, a majority of them preferred the taste of Pepsi over Coke. Pepsi decided to chase Coke's market dominance, creating a blitz of television, print, direct mail, radio and billboard advertising, all stating that people preferred the taste of Pepsi over Coke. The ads showed people who claimed to be Coke lovers taste-testing both products, stating they loved the taste of Pepsi and were switching colas. It was a tremendously successful campaign that threatened Coke's dominant market position by stealing market share every day. Coke executives panicked and decided to do something radical. They developed a sweeter product called "New Coke." They added a new logo to their cans. Do you know how that initiative turned out? Their move turned out to be radically stupid. Within 79 days, because of public backlash and demands from their loyal customers, Coca-Cola Classic was rushed back to the market. In deciding to be more like Pepsi and abandoning the 100-year-old recipe that made them famous, Coke lost some of the branding power they had created over the years. They made the decision to change based on the fact that some customers preferred the taste of a competitor's product, but what they didn't count on was the strong neuropsychological connection people had with Coca-Cola—this was actually more important than the taste! A group of doctors at the Baylor College of Medicine decided to test this in 2003. If, in fact, Pepsi is a better tasting beverage than Coke, why is Coke the more popular beverage? They did a study using imaging of people's brains to see exactly what was happening when they drank the different colas. The scientist, Read Montague, performed this clinical Pepsi Challenge by scanning the brains of 40 study participants after they sipped Pepsi and Coke. When blind as to which brand they were tasting, there was no clear winner. That is, the reward center of the brain—the ventral putamen—revealed the same preference for Pepsi as Coke when participants were unaware of which brand they tasted. Now here is what's really interesting: Montague altered the testing procedure by telling participants the name of the brand they were about to taste. A different region of the brain was activated, and Coke was the winner in the non-blind taste test. In particular, activation of the medial prefrontal cortex—an area of the brain associated with cognitive functions such as thinking, judgment, preference and self-image—revealed that participants now preferred Coke. In short, with blind taste tests, there was no winner. With non-blind tests, Coke prevailed. What is the lesson here? A person's perception and higher-level thought processes are the most important factor when someone chooses one product or company over another. This study explains why the most qualified companies, people or products lose out to a competitor who has an equal or inferior product. The best product does not always win—the product with the best marketing wins. Marketing is king, and if you understand how to engineer brand messages, to tap into your customers' ways of thinking, you will have an unfair advantage and customers will consistently choose you above the competition. You need to understand how language impacts neurology, which directly affects behavior. This new era of selling emerging in health care/life science sales is called neuro-selling. SalesGen is your competitive advantage. Experts say that each of us are exposed to 10,000 marketing and sales messages per day from people and companies who are trying to sell us something—it's overwhelming. We are bombarded with email, text, direct mail, pay-per-click, newspaper, social media ads, truck signage, billboards and so on. So many marketing messages are coming at each of us almost every second, and it is overwhelming our senses. What are people doing in response to this barrage of marketing propaganda? Shutting down and putting up barriers. Our resistance to marketing is at an all-time high. There is just way too much coming at your customers, and the brain is an incredible instrument that will filter out anything that's not important. Think about this: How many ads or salespeople do you respond to daily, weekly or monthly? I bet very few. How many emails did you get while reading this article? How many will you get today? How many sales-related emails will you respond to or buy from? Most advertising is generic and does not resonate, or it's not communicated in a way you care about. Therefore, the first thing we must do is grab people's attention. If I have your attention, then I can get you to take action and ultimately sell you my product or serivce. People hear messages that speak to them, see solutions that clearly show you can help and are motivated to buy when they feel confident you are the best choice. Everyone has a reticular activating system (RAS). The RAS is the part of the human brain that is like your personal bouncer or gatekeeper. It will keep out anything you do not need to think about at that time and keeps you focused on what is important. It will only let in sights, sounds and feelings that keep you out of danger, or let through information that is interesting to you. If you are going to sell somebody something, you must first get past the RAS. This is the first and most critical step of the sales process. Here's an example of the RAS at work: Have you ever purchased a car, shirt, dress or anything you thought was unique and immediately after the purchase you started it seeing everywhere? This recently happened to me. I purchased a car with a really cool metallic blue paint my wife and I had never seen. We were so excited, thinking we were the only ones who discovered this make and model in this cool color. On the way home from the dealer, we saw three of the exact same car in our special color! For days after we would see "our special car" all over the place! Do you think all of those cars magically appeared, or everyone bought that car at exactly the same time? Of course not. That was the RAS letting the car in past our filter. It was always there—it was just important to us now. You only see, hear and feel what the RAS will allow through. This is a powerful marketing strategy and, as a smart marketer, you now know that you must get your message past your customer's RAS to be successful in selling. When you do that, you emerge from all the noise and come out ahead of the other 9,999 messages, becoming significant to your customer and their brains. Knowing this, I asked my company to interview a few thousand medical professionals to ask them what was important to them relative to their job and the patients they serve. 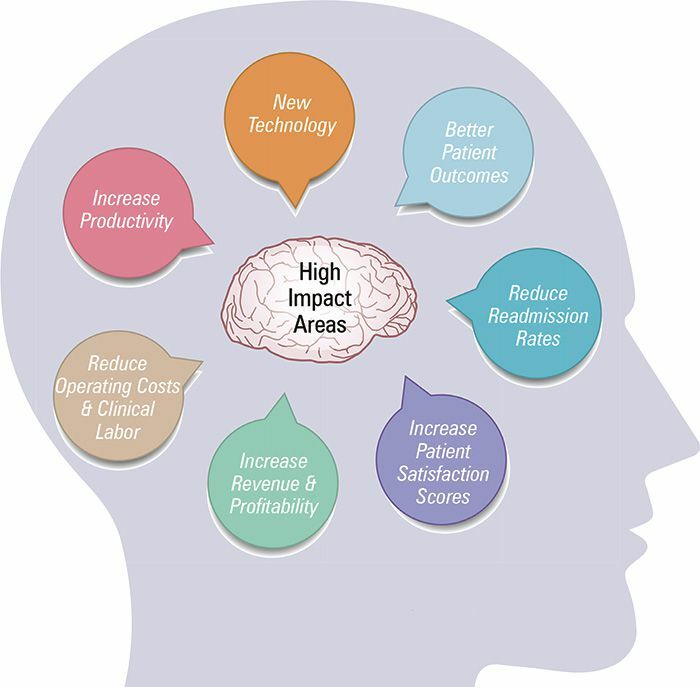 The following are the high interest areas your customers are more likely to see, listen and feel strongly about: new technology, better patient outcomes, reduce readmission rates, increase patient satisfaction scores, increase revenue and profitability, reduce operating cost and clinical labor and increase productivity (see image, page 27). If you focus your sales, marketing and advertising messages on these subjects you will make friends with their RAS and push right to the front of their mind so you get noticed. These are the areas you want to highlight in your sales calls and marketing messages. Show customers, and let them hear and feel how your products and services solve problems in the areas of their businesses and lives that are most important. My goal for you after reading this article is that your eyes are open and you feel the immediate need to incorporate SaleGen and neuro-selling. These techniques will help you to more easily find the buy buttons in your customers' brains, and you will see immediate and long-term growth. It's not the economy or health care legislation that is holding you back—it's your old-school sales approach, and now you have a new way to beat your competition—use SalesGen today!